The top commander in Afghanistan has taken "appropriate action" against Army personnel involved in the deadly Oct. 3 attack on Combat Outpost Keating that left eight soldiers dead. Findings from the AR 15-6 investigation into the attack were released Feb. 5, and the results are eerily similar to those from the initial investigation into a similarly complex and deadly attack in Wanat, Afghanistan, 15 months earlier. Because the personnel cited in the investigation into the attack on COP Keating received non-judicial punishment, military officials in Afghanistan declined to identify or say how many were punished, citing privacy laws. However, the 15-6, by Lt. Gen. Guy Swan, now commander of U.S. Army North and at the time a major general, lauded the soldiers of B Troop, 3rd Squadron, 61st Cavalry Regiment, 4th Brigade Combat Team, 4th Infantry Division, of Fort Carson, Colo., for their actions. "[The soldiers] repelled an enemy force of 300 Anti-Afghan fighters, preserving their combat outpost and killing approximately 150 of the enemy fighters," Swan wrote in his executive summary. "The soldiers distinguished themselves with conspicuous gallantry, courage and bravery under the heavy enemy fire that surrounded them." Eight American soldiers were killed and 22 were wounded during the attack. All but three of the wounded returned to duty after the attack. In addition to meting out non-judicial punishment, Gen. Stanley McChrystal also issued guidance to commanders and noncommissioned officers at all levels throughout the International Security Assistance Force and U.S Forces-Afghanistan "to ensure the lessons learned from the investigation findings and recommendations were incorporated into current practices to prevent or mitigate future incidents," according to a statement from U.S. Forces-Afghanistan. COP Keating, in Afghanistan's Nuristan Province, was established in 2006 as a base for a provincial reconstruction team. It was surrounded by high ground, with limited overwatch protection from nearby Observation Post Fritsche, according to Swan's report, which was heavily redacted before it was released. "The mission for COP Keating during the rotation of B Troop was unclear to the soldiers of B Troop, who understood counterinsurgency doctrine and the need to engage with and protect the local population," he wrote. But the soldiers were hampered by limited manpower, and the mission "devolved into one of base defense, and by mid-2009 there was no tactical or strategic value to holding the ground occupied by COP Keating," Swan wrote. As a result, the soldiers' chain of command decided to close the COP as soon as it could. 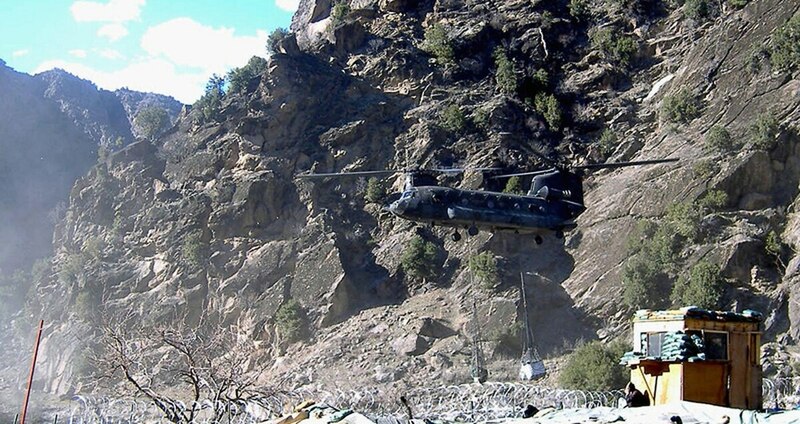 The closure was scheduled for July or August 2009, but the withdrawal was delayed when the assets required to move base supplies were diverted to support "intense brigade-level operations" in Barge-e-Matal, also in Nuristan Province. "Similarly, [intelligence, surveillance and reconnaissance] assets that could have given the soldiers of COP Keating better situational awareness of their operational environment were reprioritized to support Barge-e-Matal as well as the search for a missing U.S. soldier in the south," according to Swan's report. The delays in closing COP Keating "contributed to a mindset of imminent closure that served to impede improvements in force protection on the COP," Swan wrote. "There were inadequate measures taken by the chain of command, resulting in an attractive target for enemy fighters." In the days and weeks before the Oct. 3 attack, enemy fighters conducted "numerous probing attacks" to learn the tactics, techniques and procedures of B Troop," according to the report. The enemy also was able to pinpoint the location of weapon systems and key infrastructure, including generators and barracks. On top of all that, intelligence assessments became "desensitized" because several reports in advance of an attack indicated a large enemy force would strike the COP, but the actual attacks would generally consist of a small number of fighters, according to the report. "The perception prevailed that reports of massing enemy forces were exaggerated and improbable," Swan wrote. "The focus became the enemy's most likely, rather than his most dangerous, course of action." The findings from Swan's investigation could be mirrored in the findings of a second investigation into the July 13, 2008, battle in Wanat, where soldiers from the 173rd Airborne Brigade Combat Team faced an organized and determined enemy force of about 200 fighters. Nine soldiers were killed and 27 others wounded in that battle in Konar Province. An AR 15-6 was conducted immediately following that battle, but a second investigation was launched, prompted by allegations of command negligence. Family members of the soldiers killed that day, along with Sen. Jim Webb, a Virginia Democrat, had called for further investigation into the battle. The Central Command review, by a Marine Corps three-star general, was completed recently and has been forwarded to the Army. Findings from that investigation have not been released; Army Secretary John McHugh on Jan. 29 announced he has appointed Gen. Charles Campbell, commander of Forces Command, to review the recommendations and determine if action should be taken against the Army personnel cited in the report. Campbell has up to 90 days to complete his review.